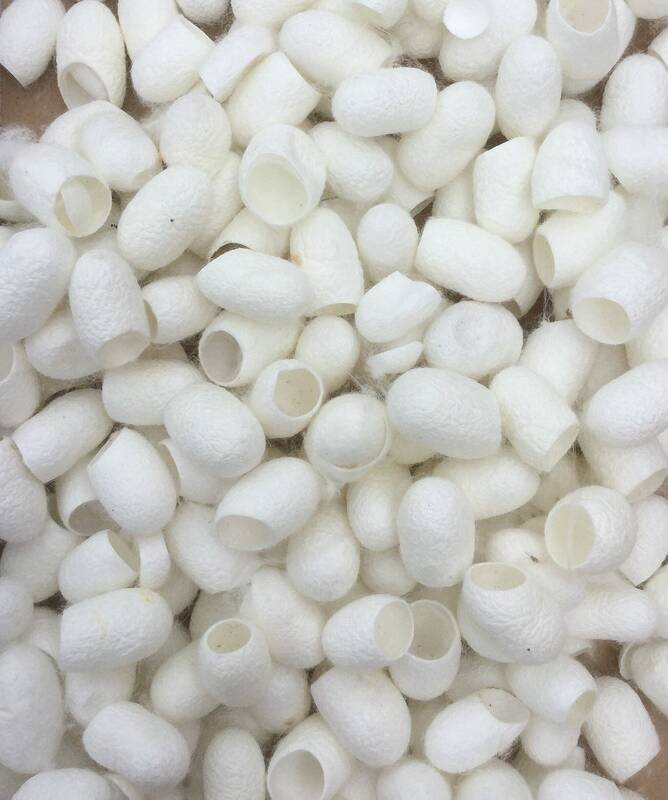 SILK CUT COCOONS 100g in their natural state. The cocoon is spun by the silkworm in one continuous thread almost a mile long. The cocoons vary in size. Most of them are an oval shape with a hole cut in them. Each individual cocoon measures approximately 2cm - 3cm (0.75" - 1.25") long and they are quite rigid. (Lots of the little caps that have been cut off are included in this selection too). The cocoons are quite clean - majority of the cocoons are perfect but one of two may be slightly damaged or crushed, marked or may contain a silk worm pupa.